Workers prepare an oil containment boom at Refugio State Beach, north of Goleta, Calif., Thursday, May 21, 2015. More than 7,700 gallons of oil has been raked, skimmed and vacuumed from a spill that stretched across about 9 miles of California coast, just a fraction of the sticky, stinking goo that escaped from a broken pipeline, officials said. Published: Saturday, May 23, 2015 at 9:00 p.m.
Last Modified: Saturday, May 23, 2015 at 9:49 p.m. The original owner of the pipeline skirted the Santa Barbara County requirement by successfully arguing in court in the late 1980s that it should be subject to federal oversight because the pipeline is part of an interstate network, said Kevin Drude, deputy director of the county's Energy and Minerals Division. Auto shut-off valves are not required by federal regulators. Published: Friday, May 22, 2015 at 3:30 a.m.
Last Modified: Friday, May 22, 2015 at 3:05 a.m.
GOLETA, Calif. (AP) — The operator of a broken oil pipeline that fouled a California shoreline says it could be weeks or even months before investigators are able to determine what caused the break and subsequent spill. Crews have yet to excavate the broken piece of pipeline, which under the law must be done in the presence of federal regulators and a third party, officials with Plains All American Pipeline LP said at a Thursday night news conference at the Santa Barbara County beach where the spill occurred two days earlier. "We have not even uncovered the pipe yet," said Patrick Hodgins, senior director of safety for Plains All American. The company would not yet say whether two malfunctions that occurred shortly before the spill was discovered were part of the cause. "We were having some pump problems on the pipeline," said Rick McMichael, another Plains All American Representative. "Whether it led to the leak or not is part of our investigation." The 24-inch pipe, built in 1987, had no previous problems and was thoroughly inspected in 2012, according to its operator, Plains All American Pipeline. The pipe underwent similar tests about two weeks ago, though the results had not been analyzed yet. The spill involved an estimated 105,000 gallons of crude; about 21,000 is believed to have made it to the sea and split into slicks that stretched 9 miles along coast. A 23-mile by 7-mile area was closed to fishing. As of Thursday, more than 9,000 gallons had been raked, skimmed and vacuumed up, officials said. The thick, powerful-smelling crude coated rocks and sand, but only six oil-coated pelicans and one juvenile sea lion had been rescued. An abundance of volunteers had made themselves available to help sop up oil and in particular to help clean off animals, but they were being turned away and encouraged not to act on their own. "We just don't have enough positions," U.S. Coast Guard Capt. Jennifer Williams said. The latest spill is just a drop in the bucket compared with a catastrophic blowout on the same stretch of coast in 1969, when a Union Oil platform blew out and spewed an estimated 3 million gallons of crude along 30 miles of coast. Some 9,000 birds died, new regulations were passed and a new era of environmental activism began in the U.S. Nevertheless, the new spill is being held up as another reason to oppose such things as fracking, the Keystone XL pipeline that would run from Canada to Texas, the moving of crude by train, and drilling in far-flung places. "What we see from this event is that the industry still poses enormous risks to an area we cannot afford to lose," said Joel Reynolds of the Natural Resources Defense Council. Plains All American and its subsidiaries operate more than 6,000 miles of hazardous liquid pipelines in at least 20 states, according to company reports. Those companies handle more than 4 million barrels of crude and other liquid fuels daily. Since 2006, the companies have reported 199 accidents and been subject to 22 enforcement actions by federal regulators. The accidents resulted in a combined 725,500 gallons of hazardous liquids spilled and damage topping $25 million. Corrosion was determined to be the cause in more than 80 of those accidents. Failures in materials, welds and other equipment were cited more than 70 times. Enforcement cases against the companies resulted in the collection of $154,000 in penalties, according to a federal database. Hodgins, of Plains All American, said the company has spent more than $1.3 billion since 2007 on maintenance, repair and enhancement of its equipment. He also defended the company's safety record, saying accidental releases have decreased as the number of miles of pipelines has increased. Associated Press writers Christopher Weber and Alicia Chang contributed to this report from Los Angeles. Byron Encalade, Voices From The Gulf. 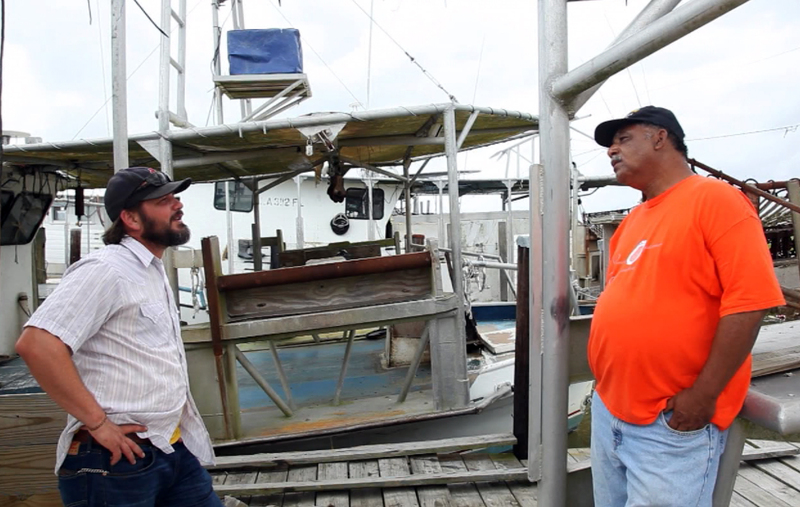 The second in a series of interviews with South Louisiana Fishermen, Drew Landry took me to Byron Encalade, in East Pointe A-LA Hache, LA, a small fishing village in Plaquemines Parish, Louisiana. He engages in harvesting seafood, oysters and shrimp; also in transporting seafood along the gulf coast states. He is currently serving as Plaquemines Parish, Louisiana Constable 3rd Ward, American Legion Post 430 Judge Advocate, Louisiana Wildlife & Fisheries Seed Ground Permit Appeals Board, President of Louisiana Oystermen Association, President of South Plaquemines United Fisheries Cooperative and most proudly a lifetime member of the Wolfhound Pack 27th Infantry Regiment Historical Society, Inc.
Byron has been an oysterman all of his life and tells it like it is for his friends and family 5 years after the BP oil disaster. There is too much going on in the Gulf region today to address it with only one post and account from the people's voices. This is the first installment of a year long expose'. I will be releasing a series of video interviews from the region over the next year. During the entire 5th I will try my best to expose first hand accounts of as many impacts to the fisheries and more importantly, the people. We have all heard from the BP ads and lawyers that all is well and the Gulf is recovering. We have heard the stories of the incredible amounts of money BP has supposedly paid to impacted families. Please turn off the BP tv commercials that BP paid for and listen instead to the "Voices From The Gulf"
Acy Cooper isn't a scientist, lawyer, or corporate giant CEO. He is the vice president of the Louisiana Shrimp Association. A fisherman working in the Gulf of Mexico today while BP claims the Gulf is healing well and everyone is being compensated. Acy has the eyes and ears of the fishing community in his area. 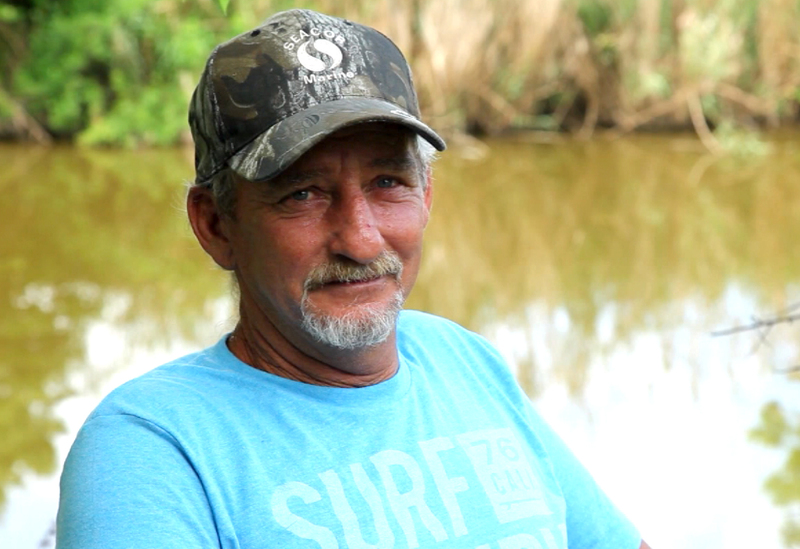 Take time to listen to his account of the shrimpers in the Gulf of Mexico, 5 years after the BP disaster. People all over the world who are confronting the deep sea drilling monster should share these stories widely. 5 years after the Deepwater Horizon, BP disaster we are just now seeing the long-term impacts. It only takes one "spill", "incident", one disaster to completely change the way of life for people who are directly impacted. Letter to editor "ADEM fails to meet community’s needs"
The Tuscaloosa News’ Lydia Seabol Avant recently did a fine job in the article “EPA Investigates Landfill,” (The Tuscaloosa News, Aug. 14, Page 1A) which described the U.S. Environmental Protection Agency’s investigation of the discriminatory impact on Uniontown’s citizens caused by the Alabama Department of Environmental Management’s decision to permit Arrowhead Landfill to receive waste from 33 states. 4 million cubic yards of toxic coal ash that came from the 2008 Kingston, Tenn., coal ash spill. As one of those complainants, I can tell you the impacts and experiences are as horrifying as described in the article. Frustrated residents living near this area suffer from a wide range of medical problems linked to coal ash dust and coal ash wastewater run-off. Concerned families no longer grow vegetable gardens and the smells around the landfill can make one’s stomach turn. Their quality of life has declined as have property values. The Alabama Department of Environmental Management bears significant responsibility for allowing this to happen. Are ADEM officials violating our civil rights when they fail to properly review and then strengthen permits that result in little or no protection? Are they discriminating against our poor and minority communities when they fail to adequately enforce environmental laws? Hopefully, the EPA will find out the answer to these questions. BREAKING NEWS! BP found "Grossly Negligent"
BATON ROUGE, La. - A federal judge has ruled that BP's reckless conduct resulted in the nation's worst offshore oil spill, leaving the company open to billions of dollars in penalties. U.S. District Judge Carl Barbier's ruling Thursday could nearly quadruple the amount of civil penalties for polluting the Gulf of Mexico with oil from BP's Macondo well in 2010. 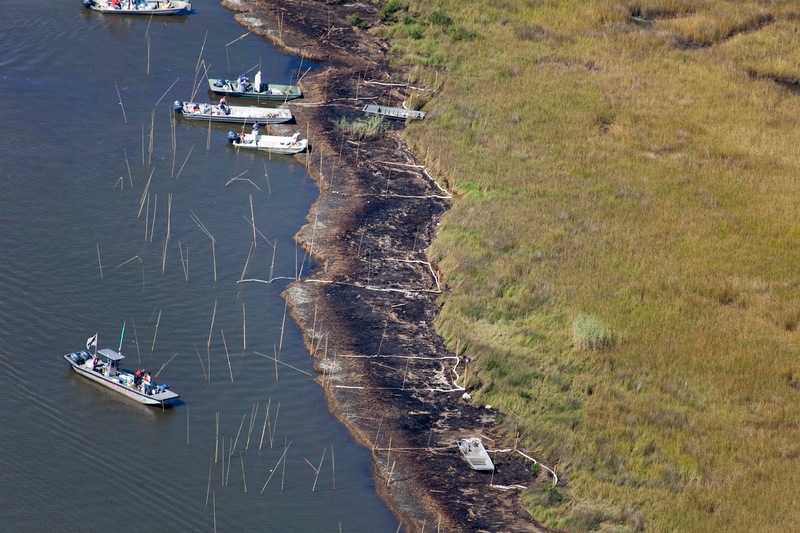 Barbier presided over a trial in 2013 to apportion blame for the spill that spewed oil from April 20 to mid-July 2010. Eleven men died when the well blew wild; BP already has agreed to billions of dollars in criminal fines. Barbier says BP bears 67 percent of the blame for the spill. He says drilling rig owner Transocean Ltd. takes 30 percent of the blame, and cement contractor Halliburton Energy Service takes 3 percent. It's about damn time. 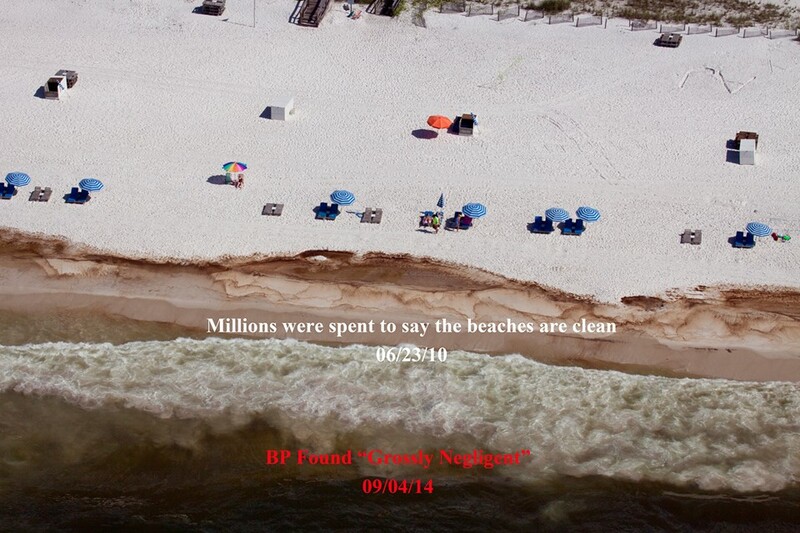 The Gulf residents found BP "Grossly Negligent" May 20, 2010. 1,000-pound tar mat is being cleaned up on Fort Pickens beach. 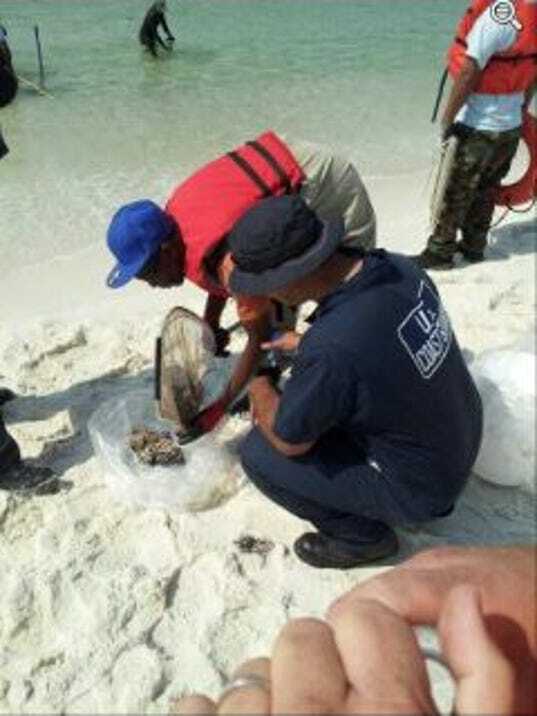 A U.S. Coast Guard pollution investigation team is leading another day of cleanup of a tar mat discovered Friday on the beach at Fort Pickens. Mats are made of weathered oil, sand, water and shells. Monday marks the fourth anniversary of when the oil from the April 2010 Deepwater Horizon oil spill disaster finally arrived on waves slicking our beaches. Tar balls and a frothy brownish-orange petroleum product called mousse, however, arrived earlier that month. The mat was discovered on Friday by a Florida Department of Environmental Protection monitor who surveys area beaches routinely looking for lingering BP oil. "The weather plays such a big factor in this," said Murphy. "Friday we got the cleanup crew out there and could see it (tar mat) visibly and attacked it. Then the thunderstorms came in, and they had to stop." By the time the crew returned Saturday, the mat was reburied under 6 inches of sand, and it took the crew a while to relocate it using GPS coordinates taken Friday, she said. With the mat located in the surf zone, it's harder to clean up. "It's always a battle with Mother Nature," Murphy said. The team returned today and plans to return Monday and for as many days as it takes to excavate the entire mat with shovels, although Murphy said it appears by the smaller amount excavated today they may be getting close to collecting all of it. But the team will survey about 100 yards east and west of the mat to make sure none is still buried in the sand. This mat is located about half a mile east of where a mat containing 1,400 pounds of weathered oil was cleaned up in March. Cleanup is being conducted by a joint effort between BP, the Coast Guard, Florida Department of Environmental Protection and National Park Service. It will take about a week for test results to confirm whether the oil is from the Macondo well that exploded April 20, 2004. More than 200 million gallons of crude oil spewed into Gulf in 2010 for a total of 87 days before the Macondo well head could capped, making it the biggest oil spill in U.S. history. Ironically, the discovery of the near-shore mat comes at a time when the National Park Service has stepped up efforts to search out suspected tar mats farther offshore. Mats are believed to be submerged in the Gulf of Mexico waters off the seashore's Fort Pickens and Johnson beach areas. Since April, a specialized team of underwater archaeologists has been scanning the waters looking for areas that might have trapped oil when it began washing up on our beaches four years ago on Monday. Friday's discovery is not related to the dive team's hunt for oil, although the Coast Guard is testing several samples the team discovered to see if it is oil and, if so, whether it's from the ­Macondo well, she said. Murphy urges the public to report any tar mat, tar ball or anything they suspected BP oil to the National Response Center hotline. Report tar ball, tar mats or anything that looks like oil pollution to the National Response Center hotline 800-424-8802. John L. Wathen, Hurricane Creekkeeper, located in Tuscaloosa County Alabama. I am the enforcement and advocacy branch of the Friends of Hurricane Creek. Photographer / videographer, I have dedicated my life to exposing the truth about pollution and lack of accountability by the industries and agencies who use our waterways as waste conduits.